All too often, safety incidents occur as a consequence of poor SafetyDNA exhibited at the individual - or organizational-level. When employees become careless in their job tasks, increasingly unaware of pending and present dangers, or begin to disregard safety procedures and rules, they expose themselves and their coworkers to hazards. 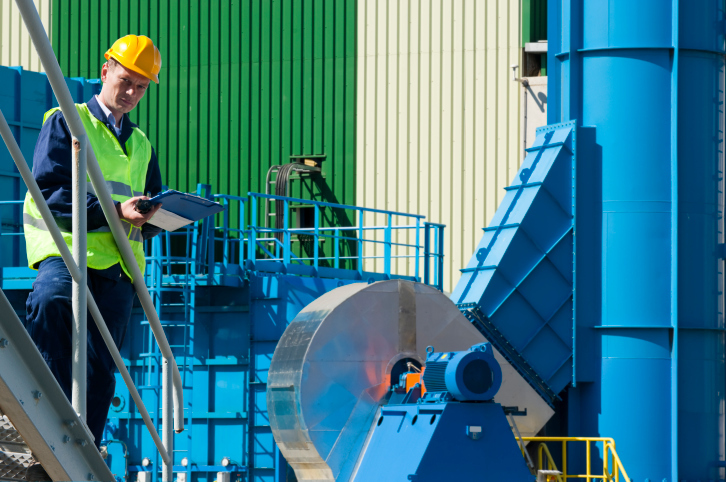 Even worse, if an entire plant or job-site is prioritizing productivity or deadlines above employee safety, the risk for accidents and injuries greatly intensifies. While we are quick to blame those directly involved in these events, we often fail to consider breakdowns in the greater system that may set the tone for organizations low on SafetyDNA to disregard internal measures of regulation. I have written before about the explosion at the West Fertilizer plant that killed 35 workers and injured over 190. In that piece, I discussed the unsafe practices of plant management that led to this disaster. I now shift my focus to another cause of this lapse in safety compliance, specifically the sparse and inconsistent regulatory inspections conducted at the plant. In fact, OSHA inspected the plant only once in 1985 throughout the company’s 51-year history. Furthermore, their most recent inspections were conducted in 2006 by the Environmental Protection Agency (EPA) and the US Pipeline and Hazardous Materials Safety Administration, each of which merely fined West for major regulatory violations. At the state level, the Texas Commission on Environmental Quality is so understaffed with inspectors that it only has the manpower to perform inspections in response to a complaint or reportable incident. Nuclear power is another industry plagued by poor enforcement of safety regulations. A technical report released in 2010 revealed that the Nuclear Regulatory Commission (NRC) has been failing at its primary mission: to minimize the number of accidental releases of radioactive liquids and gases. Indeed, following a number of major safety incidents, for unannounced and unexplained reasons, the NRC stopped enforcing their requirements for proper storage and disposal of radioactively contaminated liquid in 2005. Over the past four years, 27 accidental releases have occurred in nuclear plants across the country, yet the NRC has imposed no sanctions. Furthermore, the number of safety violations varies dramatically from region to region, suggesting that even the enforcement of lesser violations is inconsistent across plants. It appears as though organizations not held to compliance by external regulatory agencies will inevitably fail to maintain safety standards, but is this truly the case? We only hear news about the companies that experience safety incidents, but many others are able to self-regulate without any major occurrences, regardless of state and Federal presence (or lack thereof). One reason for this may be the growing movement for organizations to involve themselves in their communities and be active in social responsibility programs. However, are these companies actually safe, or just lucky? Recent work by Georgetown University’s Law Center reported that internal compliance structures can instantiate organizational commitment, but that successful self-regulation requires a unique combination of intrinsic motivations. Furthermore, companies who participate in internal regulatory programs tend not to outperform those who do not participate. The results of this project suggest that self-regulation is often merely a ‘window dressing’ that makes no impactful positive change for the organization. In addition, regulatory surveillance at the field- and organization-levels actually promotes more effective self-regulation. It makes sense that a combination of external and internal safety compliance measures should engender high SafetyDNA and reduced accidents and injuries. However, organizations cannot and should not count on regulatory agencies to monitor the safety of their employees and the surrounding community, and although the benefits of self-regulation may not be obvious to some employees, this should be an important component of a strong organizational safety program. As regulatory agencies continue to lack the adequate resources required to consistently and sufficiently inspect job-sites, organizations must learn to adequately self-monitor through internal safety regulation structures.